How I’m Fueling My Way Through the Holidays With 2 Simple Swaps! We’re finally here, you guys! We’re in the home stretch of days until Thanksgiving day, and I’ve been busy putting my final touches on the menu and nailing down all of the sides we’ll be serving during our annual family feast. Thanksgiving in the south can be a little over-the-top sometimes. We love to break out Grandma’s old cookbook and pick out our family’s favorite recipes to eat, but if you’re not careful you’ll end up with 7 casseroles, 4 types of potato salad, 2 lbs of giblet gravy , 47 slices of cornbread and 14 different desserts for a family of 5 to try to devour. I’d love to tell you I’m exaggerating, but I’m really not! And that’s just for one meal, you guys! It’s not at all uncommon to have multiple Thanksgiving meals with different families over the span of a few days. And don’t even get me started on the leftovers! It’s all well and good, but there’s only so much turkey and cranberry sauce that I can enjoy. I hate having that miserably-full feeling at every meal, and honestly – it’s often hard to come by a Thanksgiving menu that is filled with dishes that contain the proper nutrients we need to be fueling our bodies with. Sure, we have our “vegetables” on the table, but they’re usually covered up with layers of butter, cheese, cracker crumbs and condensed soup and thrown in a casserole dish. It’s not exactly the best way to get in those veggies, so this year I’m making it a point to swap out a few traditional recipes with one that are loaded with vegetable goodness and served in a way that will speak to my southern family’s heart! I’m also making a few switches myself to help me avoid the “Leftover Thanksgiving Food” coma that follows for days after Thanksgiving day by keeping my freezer stocked with some awesome plant proteins to help fuel my body the right way through the holidays! During my recent shopping trip at my local Walmart, I picked up these Green Giant Harvest Protein Bowls™ found in the freezer section that are perfect for my busy on-the-go lifestyle during this time of year. They’re loaded with vegetables and whole grains that make for a quick and nutritious meal at home, and they’re packed with plant-based protein to keep my body moving. Skipping out on the leftovers this year and swapping it up with these quick and easy meals is a great way to get in a nutritious meal during a time when it may otherwise be hard to do! I also found a few varieties of Green Giant Organic Mashed Cauliflower, and I nearly had to pick my jaw up off of the floor in amazement! 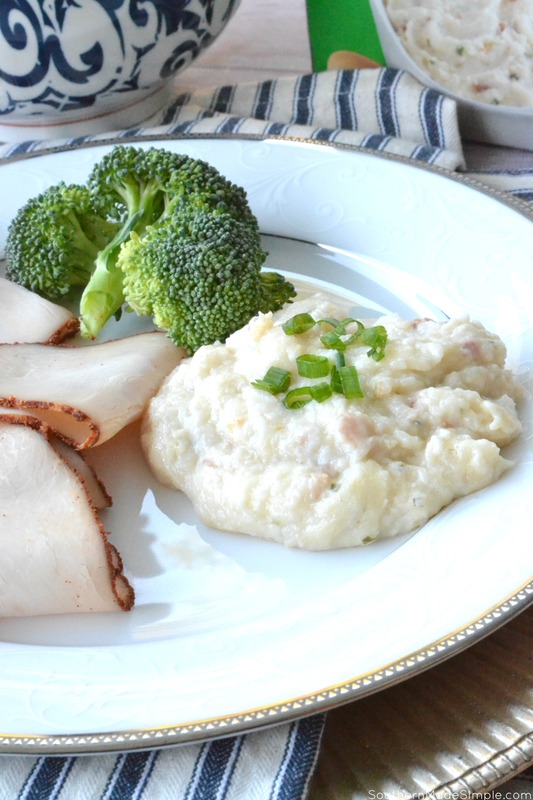 Mashed potatoes are a must-have on the Thanksgiving menu, but to know I can easily swap out that starchy dish and replace it with a vegetable and not even be able to tell the difference is incredible! I picked up the Cheddar and Bacon variety to try out before the “big day,” and let me tell you – it’s a winner! Not only is it a winner, but I do believe it’s now become a replacement for traditional mashed potatoes all throughout the year for my family. It’s that good, y’all! 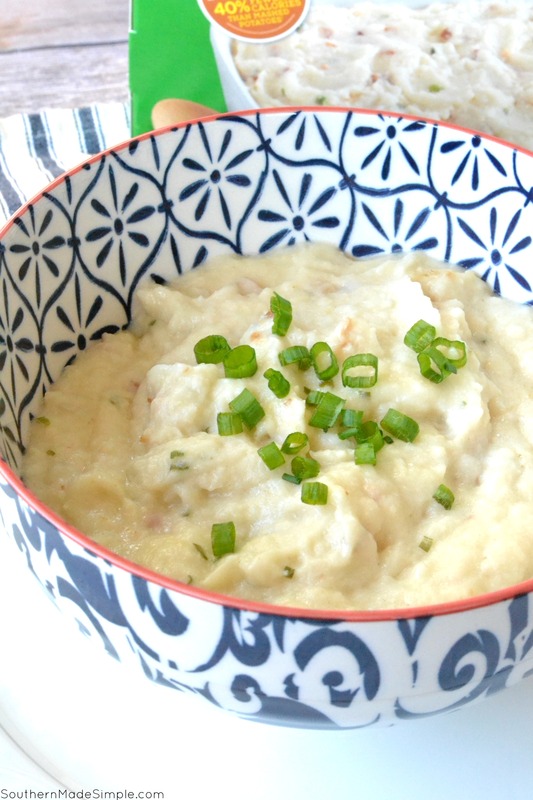 They’re smooth, creamy, and taste so much like real homemade mashed potatoes. Each serving of Green Giant Organic Mashed Cauliflower contains 1 full serving of cauliflower, no potato at all, and significantly fewer calories than traditional mashed potatoes! Plus, there are no artificial flavors or preservatives added, and that’s something I truly appreciate! I love how easy Green Giant has made it to swap out traditional Thanksgiving day food items and replace them with better-for-you options. Green Giant also offers other really great vegetable-based substitutions that are perfect for holiday meals, such as Organic Riced Cauliflower, Organic Veggie Spirals, and even a Cauliflower Pizza Crust that I can’t wait to get my hands on! Those traditional southern-style casseroles will always have a place in my heart, but knowing how easy it is to swap them out with healthier options is a major win in my book! Will you be swapping out starches and replacing them with veggie goodness during the upcoming holidays? 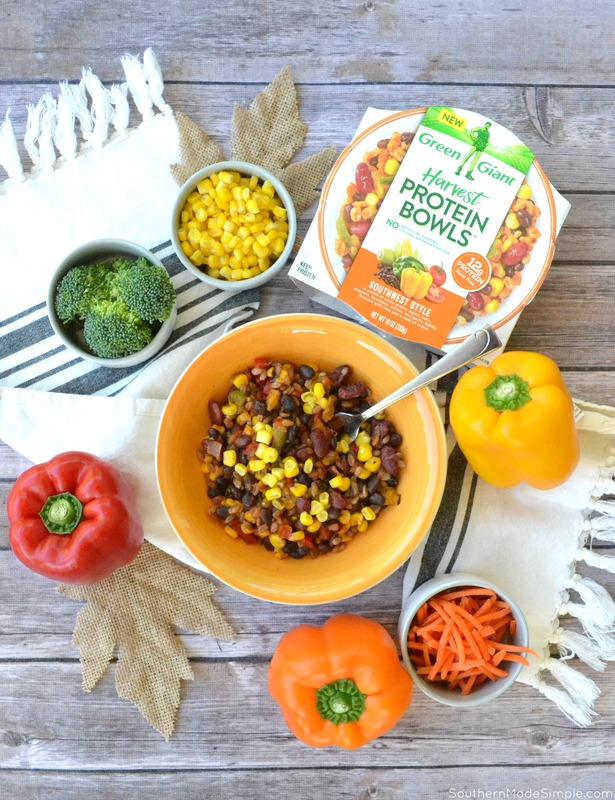 If you’re looking for some new ways to add plant based protein to your days or to sneak in the vegetables at the dinner table, head down the freezer aisle at your local Walmart and give the new Green Giant products a try!